Narrated in Lincoln’s own voice, the tragicomic I Am Abraham promises to be the masterwork of Jerome Charyn’s remarkable career. 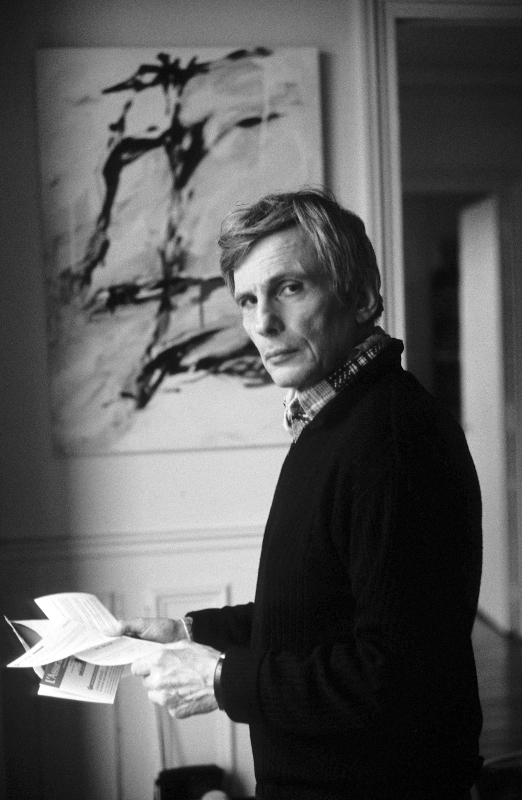 Since publishing his first novel in 1964, Jerome Charyn has established himself as one of the most inventive and prolific literary chroniclers of the American landscape. 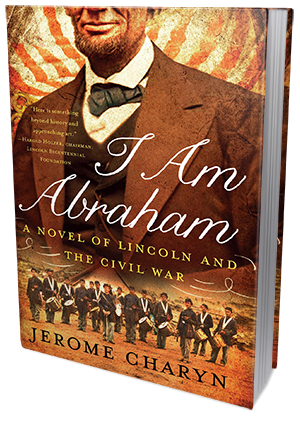 Here in I Am Abraham, Charyn returns with an unforgettable portrait of Lincoln and the Civil War. Narrated boldly in the first person, I Am Abraham effortlessly mixes humor with Shakespearean-like tragedy, in the process creating an achingly human portrait of our sixteenth President. Tracing the historic arc of Lincoln's life from his picaresque days as a gangly young lawyer in Sangamon County, Illinois, through his improbable marriage to Kentucky belle Mary Todd, to his 1865 visit to war-shattered Richmond only days before his assassination, I Am Abraham hews closely to the familiar Lincoln saga. Charyn seamlessly braids historical figures such as Mrs. Keckley—the former slave, who became the First Lady's dressmaker and confidante—and the swaggering and almost treasonous General McClellan with a parade of fictional extras: wise-cracking knaves, conniving hangers-on, speculators, scheming Senators, and even patriotic whores. We encounter the renegade Rebel soldiers who flanked the District in tattered uniforms and cardboard shoes, living in a no-man's-land between North and South; as well as the Northern deserters, young men all, with sunken, hollowed faces, sitting in the punishing sun, waiting for their rendezvous with the firing squad; and the black recruits, whom Lincoln’s own generals wanted to discard, but who play a pivotal role in winning the Civil War. At the center of this grand pageant is always Lincoln himself, clad in a green shawl, pacing the White House halls in the darkest hours of America’s bloodiest war. Using biblically cadenced prose, cornpone nineteenth-century humor, and Lincoln’s own letters and speeches, Charyn concocts a profoundly moral but troubled commander in chief, whose relationship with his Ophelia-like wife and sons—Robert, Willie, and Tad—is explored with penetrating psychological insight and the utmost compassion. Seized by melancholy and imbued with an unfaltering sense of human worth, Charyn’s President Lincoln comes to vibrant, three-dimensional life in a haunting portrait we have rarely seen in historical fiction. If you've ever wanted to be inside Abraham Lincoln's head, this is the book for you! I've always been a bit intrigued with President Lincoln and the life he lived on his way to the White House. This book is expertly written by Jerome Charyn. You can immediately tell that a lot of work and dedication went into each and every detail shown in this historical novel. It is a first person account told by Mr. Lincoln himself. Never before have I read such a well put together history of the life of Abraham Lincoln. Rather than just reciting a series of dry facts, the story comes alive through the story written in the first person narrator, Abraham himself. The book covers the period from Lincoln's life starting out as a young man to the end of his life. The opening scene takes us back to that faithful night that Mr. Lincoln lost his life at the theatre and then effortlessly takes us back to when Lincoln was a young man just scraping by. Abraham had nothing with which to make his way except his own willingness to work and scrap by. He fought as a young man to get an education, which was nearly impossible since his father wanted the exact opposite for him. He makes his living however he can with various occupations moving towards the occupation of being a lawyer and a circuit judge. His poverty means that he is not accepted in the higher circles of society and that suits him just fine, as he is uncomfortable around such people and their lives. He goes to parties and dinners occasionally, and meets Mary Todd. Against the objections of her family, he woos and wins her; their marriage blessed with four sons. As he moves into politics, Lincoln finds himself fighting and arguing for his passion of freeing the slaves. From the beginning, he is quite good at rallying a crowd to agree with him. He rails against slavery leading to the creation of the Republican party. When he is elected President it is not a popular move with the Southern states who promptly succeed, leaving Lincoln to start his Presidency with the biggest, most divisive war in the country's history. This entire book is such a great account of President Lincoln and his rise to the presidency. It has rich history, vivid scenes, and even shares with us some little known facts about the women and friends Lincoln comes across in his travels to becoming America's president. Jerome Charyn's "I Am Abraham" is a bittersweet tale that seems to gives us a unique look into Abraham Lincoln's life. We get to see a thought-provoking and melancholic side of a man who did everything possible to bring the United States and its people together in so many ways. Abraham Lincoln fought for so much, and achieved such greatness, that he's remembered for his goodness. Yes, he had his demons, and there were times when he thought he couldn't go on, but he persevered. He did his best to fulfill every one of his duties and then some. The perfect book for anyone who is looking for an intimate account of President Lincoln's early years and how he got his start. Jerome Charyn is an award-winning American author. With nearly 50 published works, Charyn has earned a long-standing reputation as an inventive and prolific chronicler of real and imagined American life. Michael Chabon calls him "one of the most important writers in American literature." New York Newsday hailed Charyn as "a contemporary American Balzac,"and the Los Angeles Times described him as "absolutely unique among American writers." Since the 1964 release of Charyn's first novel, Once Upon a Droshky, he has published 30 novels, three memoirs, eight graphic novels, two books about film, short stories, plays and works of non-fiction. Two of his memoirs were named New York Times Book of the Year. Charyn has been a finalist for the PEN/Faulkner Award for Fiction. He received the Rosenthal Award from the American Academy of Arts and Letters and has been named Commander of Arts and Letters by the French Minister of Culture. Charyn was Distinguished Professor of Film Studies at the American University of Paris until he left teaching in 2009. In addition to his writing and teaching, Charyn is a tournament table tennis player, once ranked in the top 10 percent of players in France. Noted novelist Don DeLillo called Charyn's book on table tennis, Sizzling Chops & Devilish Spins, "The Sun Also Rises of ping-pong." Charyn lives in Paris and New York City. For more information please visit Jerome Charyn's website. You can also find him on Twitter and Goodreads.